I have to admit to being more than a little addicted to this cozy series featuring local busybodies Jude and Carole. This title is a rather sardonic look at what goes on in "amdram" societies. Simon Brett again shows his delight in exposing what makes people tick. Jude and, by default, Carole have become involved in a local amdram production when the leading man dies on stage using a prop created for the production. The police seem to have decided the death is a suicide but our sleuths are not so sure, and fearlessly go where it may have been wiser not to tread. You'll see from my rating that these are not the best of my reading, but there is something that draws me back to each new title. I think it is partly that I want to see what plot Brett has drawn up now, but also because I enjoy the continuing background saga of the lives of the Fethering duo. The author has a quirky sense of humour, and doesn't hesitate to poke fun at Carole's expense in particular. It probably doesn't matter whether you read this series in order, although there are references in this title to the plots of earlier ones. There is also a continuing development of Jude and Carole's characters, and the fact that I've read them more or less in order has furthered my enjoyment. I'm doing a bit of catch up with this series, and so am reading/listening to them very much out of order. That doesn't seem to matter though, and I must attribute that in part to the narrator Tim Goodman who brings them very much to life. At times it causes some continuity problems, but they are not insurmountable. The elderly detectives Bryant and May have become stranded in a snow storm on a B road on their way to Cornwall. They are driving Bryant's landlady Alma's van to paranormal convention at which Arthur Bryant is meant to be giving a key note address. The PCU is being re-wired to accommodate new computers and it seems that no-one will miss the elderly detectives if they are away for a couple of days. They leave Janice Longbright in charge of the PCU in London, and their boss Raymond Land is none too happy when Oscar Cassavian, his boss, schedules a visit from the Princess Royal. The future of the PCU is very much on the line and an unfavourable report from the Princess Royal may take their funding completely away. Cassavian is just waiting for something like that to crop up. Meanwhile the death of a staff member occurs in the PCU mortuary and it seems likely that another member of staff may be the perpetrator. So Longbright consults with Bryant and May by mobile telephone. Meanwhile they discover that a driver in one of the stranded vehicles has also been murdered. 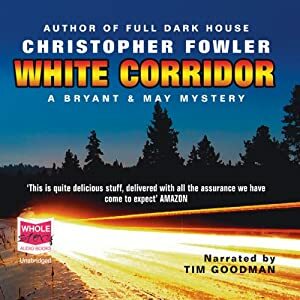 Tim Goodman's narration of these stories is wonderful and Arthur Bryant in particular, the older of the two detectives, really comes to life. The author has a particular quirky sense of humour. He also fills the novels with off-beat antiquarianisms, mainly related to the history of London.. The character development is excellent too. At a Hallowe’en party, Joyce – a hostile thirteen-year-old – boasts that she once witnessed a murder. When no-one believes her, she storms off home. But within hours her body is found, still in the house, drowned in an apple-bobbing tub. To be honest, this is one of the Agatha Christie novels I have either read or seen dramatised several times, and so I spent my time looking for things that I might not have seen or appreciated before. 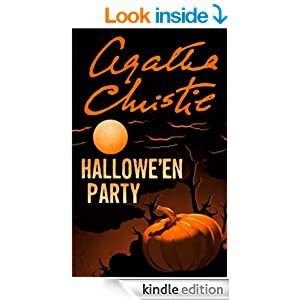 This is, of course, one of the novels where novelist Ariadne Oliver comes to Hercule Poirot with a a murder that happened at a party she was attending. The other collaborator is ex-Superintendent Spence whom Poirot assisted in MRS McGINTY'S DEAD (aka BLOOD WILL TELL). Ariadne Oliver was also involved in that one, published in 1952. Superintendent Spence has retired to the small dormitory suburb that the murder takes place in, so he has access to a lot of "inside" knowledge about the people in the village. The residents appear to be mainly widows and retirees. Before Ariadne Oliver contacts him Hercule Poirot has been sitting at home feeling a little sorry for himself as he seems to have so much time on his hands, particularly in the evenings. It is three years in fact since his last novel was published. Time is slowing down for Poirot and yet he feels that his brain is still very active. There will in fact be just 3 more Poirot titles published after this one. The novel begins with a nice catalogue of the events that take place at a Hallowe'en party: looking in a looking-glass to see your true love's face, cutting the Flour Cake, decorating broomsticks, Snapdragon, and bobbing for apples which is where the unlovely and boastful Joyce is drowned in a bucket of water in the library. Poirot is struck from the first by the prevalence of the motif of apples that always seems to accompany Ariadne Oliver: she is addicted to munching on apples, she is staying at a cottage called Apple Trees, and of course the unfortunate Joyce is drowned while bobbing for apples. 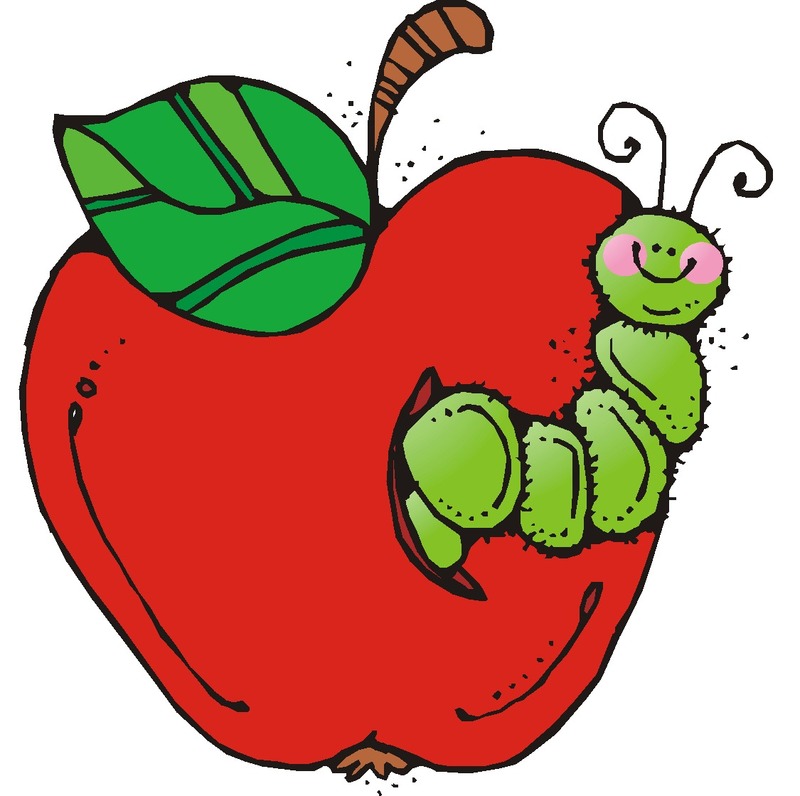 Someone remarks that apples are not always as wholesome as they appear, and the village doctor talks about an apple that is rotten at the core. But Poirot recognises that this is not only a crime, but a tragedy, for what else is the death of a child? Whatever she knew, Joyce did not deserve to die. Throughout the story there is constant reference to the idea of mentally disturbed people at large in the community. Many of the residents of Woodleigh Common believe that the person who murdered Joyce may be a stranger, a mentally unbalanced outsider who saw an opportunity to commit murder. Almost no-one at the party believed Joyce when she claimed to have seen a murder committed. According to her brother, her teachers and others Joyce apparently had a history of telling lies or tall tales and many could recall a story she told of visiting India, which turned out to actually have originated with an uncle's visit to India. Many had the feeling that Joyce had brought her murder onto herself. The hostess seems put out by the idea that anyone would dare to get themselves murdered at her perfectly organised party. Trying to assess a familiar novel with new eyes can be a fascinating experience and I found this one particularly rewarding. Read as part of the Agatha Christie Reading Challenge: in which I am attempting to read the Christie novels in their order of publication. Next is PASSENGER TO FRANKFURT. I have 6 novels to go. In this sixth installment in the critically acclaimed Swedish crime series, the murder of a young ballerina named Sophie, apparently an arson victim, sets off shrill alarm bells for Detective Inspector Irene Huss, who remembers the matching details of an unsolved case from fifteen years earlier, when Irene had only just started in the police force. The stepfather of the then eight-year-old Sophie has been murdered in a very similar way, and at the time the girl herself had been under suspicions. The circumstances force Irene and her colleagues to confront an uncomfortable question: can a child be responsible for the cold-blooded murder of an adult? The case awakens vivid memories that take the reader back to Irene's days as a young police officer. Rather frustratingly we are once again playing catch-up with quality Danish crime fiction. THE FIRE DANCER was first published in Swedish in 2005, and has only made it into English nearly a decade later. The case spans Detective Inspector Irene Huss's career with the the Goteborg crime unit. She had been newly appointed when her boss asked her to take over the questioning of eleven year old Sophie Malmborg with regard to a house fire that killed her step-father Magnus Eriksson. Fifteen years later the details of the earlier case come flooding back to Irene when she learns of the death of Sophie also in an arson attack. What I've enjoyed about this series is Irene's determination to get to the bottom of the cases. She has a very practical attitude to her work. Throughout the books there have been glimpses of her home life, and in the background in THE FIRE DANCE are her twin teenage daughters making their own ways in life, and her husband chef Krister who is suffering from burnout. Time has moved on.Lives have been rebuilt. Grief and loss are tempered by a comforting thought: a paralysed woman, once an acclaimed dancer, had died quickly and painlessly, spared a drawn out illness; a life marked by agonising misfortune had come to a merciful end. But now Anselm has been told the truth behind the soothing lie. He must move cautiously to expose the killer and the killing. He must think of young Timothy, Jenny and Peter's son. A boy who is still learning to live without his mother. And so Anselm begins his most delicate investigation yet, unaware that Jenny's adoring father is also thinking of Timothy's future; that this urbane former army officer is haunted by the memory of torture and shoot-to-kill operations in Northern Ireland; that he remains capable of anything, if he thinks it's for the best; that he has set out to execute Peter Henderson. Death, dying and killing, however, were never so complicated. An article in a local newspaper about Father Anselm's recent investigations provokes a flurry of appeals for help, among them a letter to the Prior himself asking for an investigation into the death of Jennifer Henderson some two years earlier, supposedly from bowel cancer.The writer of the letter implies that her husband Peter was responsible for her death. The appeals coincide with the Prior coming to the conclusion that Father Anselm's investigative abilities should be made more widely available to the community. They agree that he will try to discover the truth of Jennifer Henderson's death. 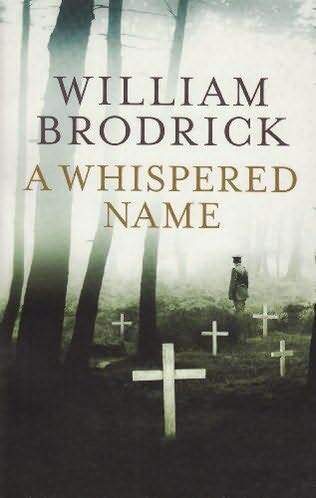 As with the earlier title in the series that I read recently, A WHISPERED NAME, there is nothing simple about this investigation. The novel is not a straight forward "whodunnit", but a complex mix of philosophical issues, particularly those related to assisted suicide, and carefully layering of the details about Jenny's family, tempered by Anselm's own persistence even when those around him want him to stop. This makes for rather slower reading, and I dutifully followed one red herring after another, but again I found it very enjoyable. 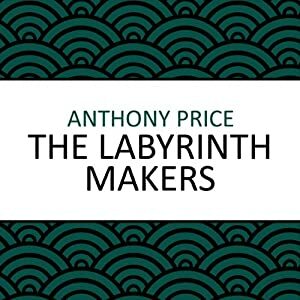 This volume offers bracing new translations of two precursors to the modern detective novel by Friedrich Dürrenmatt, whose genre-bending mysteries recall the work of Alain Robbe-Grillet and anticipate the postmodern fictions of Paul Auster and other contemporary neo-noir novelists. Both mysteries follow Inspector Barlach as he moves through worlds in which the distinction between crime and justice seems to have vanished. In The Judge and His Hangman, Barlach forgoes the arrest of a murderer in order to manipulate him into killing another, more elusive criminal. And in Suspicion, Barlach pursues a former Nazi doctor by checking into his clinic with the hope of forcing him to reveal himself. The result is two thrillers that bring existential philosophy and the detective genre into dazzling convergence. Inspector Barlach is nearing the end of his life, terminally ill with a stomach complaint. In the first novella The Judge and His Hangman a policeman is found murdered. He was last seen, working undercover, at a party being given by a criminal whom Barlach has been trying to convict all of his life. However Barlach is pretty sure that his old enemy is not responsible for the murder and he involves the suspect in the investigation. In Suspicion Barlach is in hospital awaiting an operation to prolong his life when his doctor recognises a Nazi war criminal in a photo in Life magazine. Barlach decides to put his own life on the line by entering a clinic run by the war criminal. It is a close run thing, but Barlach gets some timely assistance from an unlikely source. Although these novellas are police procedurals, there's quite a different flavour to them to more modern novels. In the foreword Sven Birketts says Dürrenmatt "comes very close to abandoning the realist conventions of the genre". Again he says Dürrenmatt is "a moralist/philosopher by temperament", and there is certainly a lot more philosophical discussion in both novellas than we would expect to find in a modern police procedural. This does tend to make for slower reading. See a review on The Game's Afoot. 'To keep quiet about something so important ...well, it's almost a lie, wouldn't you say?' When Father Anselm meets Kate Seymour in the cemetery at Larkwood, he is dismayed to hear her allegation. Herbert Moore had been one of the founding fathers of the Priory, revered by all who met him, a man who'd shaped Anselm's own vocation. The idea that someone could look on his grave and speak of a lie is inconceivable. But Anselm soon learns that Herbert did indeed have secrets in his past that he kept hidden all his life. In 1917, during the terrible slaughter of the Passchendale campaign, a soldier faced a court martial for desertion. Herbert, charged with a responsibility that would change the course of his life, sat upon the panel that judged him. In coming to understand the court martial, Anselm discovers its true significance: a secret victory that transformed the young Captain Moore and shone a light upon the horror of war. I decided to read this title because my face-to-face book group have chosen a later one in the Father Anselm series for discussion next month. Father Anselm realises from his brief discussion with Kate Seymour, a visitor to Herbert Moore's grave, that there are great many things he does not know about Father Moore. Anselm takes his disquiet to the Prior who reveals that before Herbert died he had given the Prior some army tags to be handed on to a Joseph Flanagan. For the last fifteen years of his life Herbert had awaited a visit by Joseph Flanagan but he never came. The Prior hands over to Anselm a box of Herbert's possessions containing among other things an envelope addressed to a Private Harold Shaw. The army tags belong to yet another name. So at the Prior's request Anselm begins to investigate what Herbert Moore had done during the war, and to see if he can carry out Herbert's final request. Anselm solves one mystery to find that there is yet another. The final mystery is not revealed until the very last pages. The structure of the story is interesting: the results of Anselm's investigations parallel a "real-time" narration of what happened to Herbert Moore in the first World War, and in particular in an "event" he was involved in during 1917. Not a day goes past for the rest of his life that Herbert does not think about his role in that event. The novel also covers issues like what happened on the front during the war: the inequity of punishments for desertion for example due to timing, rank, and nationality; the horrific effects of bombardments on both sides; the effects of battlefield cleanup and burial duties on those who remained; the decimation of battalions; the differences in how soldiers and commanding officers were treated, accommodated, and fed; and the reasons why men enlisted. Fascinating stuff. A reminder that at the end those who fought in the First World War were, first and foremost, people, who sometimes just found themselves in the wrong place at the wrong time. It is a couple of years since I've caught up with this series, despite the best intentions of reading them all. 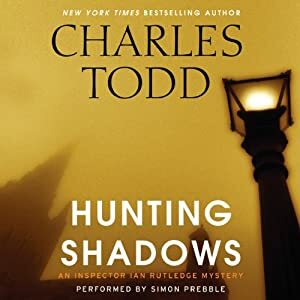 HUNTING SHADOWS makes me want to read more. However Ian Rutledge hasn't moved on very far in that time. The setting is 1920, he is still working on demand out of Scotland Yard, and still suffering from post-war stress. World War One is still raw in the memories of rural England, where so many young lads went off to war and either did not return or came back maimed in body and soul. Rutledge comes from London to the Fens to solve a murder at Ely Cathedral. The expectation both by his boss in London and the local Inspector in charge is that it won't take long. On the face of it there are no connections between the first murder and the second, nor with the shooting that follows. But of course there are connections as Rutledge will eventually ferret out. The plots in this series are so well constructed, and there is enough of Rutledge's continuing story to maintain the reader's interest too. There is a post-war flavour that comes out well, and some interesting characters and occupations, some of which no longer exist. 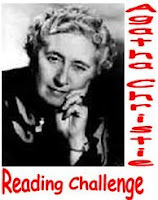 The Agatha Christie Reading Challenge continues this year and the April carnival is now open. When an RAF Dakota, presumed lost at sea in 1945, is discovered in a drained lake in Lincolnshire, together with its pilot and a cargo of worthless rubble, it falls to David Audley of the MOD to puzzle out just why the Russians are so interested in the discovery - and what the plane was carrying that is important enough to kill for. Winner of a Crime Writers’ Association Silver Dagge, this is the first of a 19 title series featuring Dr David Audley. 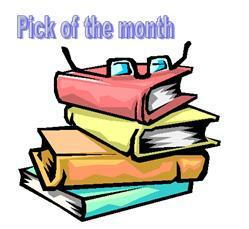 This has many of the hallmarks of a debut title, not just the first title in the series. We need quite a bit of background about many of the characters and the book takes a while to get to the central plot. I'm not sure that I ever understood the meaning of the title properly. At the beginning the author attempts to establish that Dr. David Audley, in his mid 30s, has been sidelined by the Ministry of Defence after what he considers to be a successful career in Middle Eastern Affairs. He thinks that he successfully predicted various events such as the Suez Crisis ahead of the pack. He doesn't take kindly to being allocated to investigate events of World War II, particularly incidents of local origin. 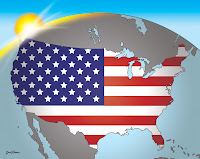 The date is 1969 and the plane crash occurred nearly 25 years before. But when a Russian espionage agent shows enough interest to fly to Britain to investigate the contents of the Dakota, Audley's interest is spiked. Even more when the daughter of the Dakota's pilot, a baby when her father died, turns up on his doorstep. To reveal what the Russian thinks the plane contained would be to tell you too much of the plot, but you might want to look at this Wikipedia article. Published in 1970, the title is an illustration of how many British authors were interested in the legacies of the Second World War, and the impact on international politics of the Cold War.Very readable thrillers were the result. Part of the attractiveness of the book is that it is relatively short, and I liked it enough to begin reading the second in the series, THE ALAMUT AMBUSH. I've read 5 new-to-me crime fiction authors so far this year. Check who others have discovered. Private Investigator Makana, in exile from his native Sudan and increasingly haunted by memories of his wife and daughter, is shaken out of his despondency when a routine surveillance job leads him to the horrific murder of a teenage girl. In a country where honor killings are commonplace and the authorities seem all too eager to turn a blind eye, Makana determines to track down the perpetrator. He finds unexpected assistance in the shape of Zahra, a woman who seems to share Makana's hunger for justice. Seeking answers in the dead girl's past he travels to Siwa, an oasis town on the edge of the great Sahara Desert, where the law seems disturbingly far away and old grievances simmer just below the surface. As violence follows him through the twisting, sandblown streets and an old enemy lurks in the shadows, Makana discovers that the truth can be as deadly and as changeable as the desert beneath his feet. This really is one of those books that takes the Western reader into a very different world. Makana is at first engaged to track a lawyer whose wife says she thinks he is having an affair. The lawyer in turn hires Makana to find out the truth about the death of a young woman in a house fire. The investigation takes him out of Cairo to the desert and he finds himself assisting local police in solving the horrific murders of two local men, one the local Qadi who was trying to make money from selling land that he didn't own, and the other a simpleton who thought he saw a ghost. Predictably, it is all quite a tangled story, but one that has its roots in the past. In the end I thought the plot became just a little too tangled for the author, and I didn't think the final resolution was all that satisfying, although probably realistic. Just write a post about the best new-to-you crime fiction authors (or all) you've read in the period of January to March 2014, put a link to this meme in your post, and even use the logo if you like. Lots of good well-crafted reading this month. Five Australian authors** for you to find. It is an invitation to you to write your own summary post for March 2014, identify your crime fiction best read of the month, and add your post's URL to the Mr Linky below.